Figure 22. The Thor ring-trawl net used in deep water. 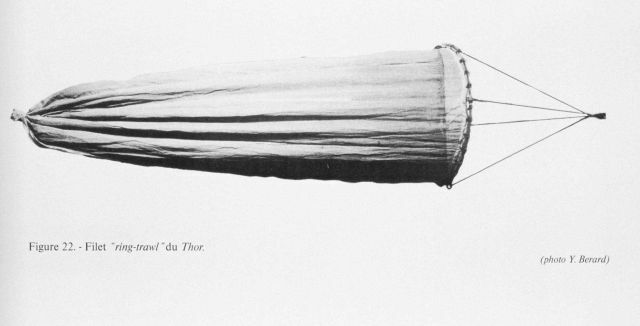 Devised by Johannes Schmidt in 1905 and used for carrying out studies on board the THOR. This net was used to capture fish in very deep water. It was first tested in waters between 1040 and 1090 meters depth off SW Ireland. The ring was originally made in one piece but George Hansen designed it in two to allow it to fold up.